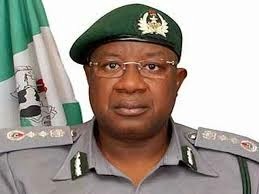 The Nigeria Customs Service (NCS) will host the 20th edition of Conference of Directors-General of Customs in West and Central Africa of the World Customs Organisation(WCO). The Public Relations Officer of the NCS, Mr Wale Adeniyi, made this known in a statement that the event would hold from April 29 to May 1, 2015 in Abuja. The Secretary-General of the World Customs Organization (WCO), Kunio Mikuriya, and Heads of Customs Administrations in the 23 member- states are expected to be in attendance. Also being expected are representatives from African Union, Economic Community of West African States (ECOWAS), Donor Agencies, other International Organizations, Partner Government Agencies in Nigeria and Stakeholders. The NCS noted that following the peaceful conclusion of the 2015 General Elections, there had been remarkable enthusiasm among Customs Administrations to attend the Abuja conference. The service will be partnering with the National Troupe of Nigeria to stage a special command performance in honour of the conference delegates. The performance is a dance drama showcasing different cultural themes in Nigeria, aimed at demonstrating the unquenchable spirit of Nigerian Unity.